Created in 2014; Work Hard Travel Well is a travel media and travel gear retailer site designed to inspire people to see the world while climbing the corporate ladder, creating a side hustle or building a business. Work Hard Travel Well includes a variety of money-saving travel tips, travel videos, blog posts, social media trends and unique photos. #WorkHardTravelWell is used on social media by thousands of users across the Globe. It includes those who work hard to create their own businesses or personal achievements. 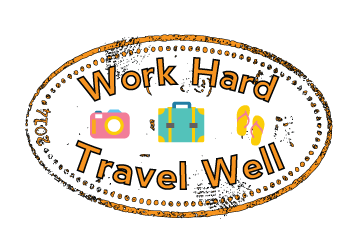 Work Hard Travel Well seeks to not only save travelers time but to motivate all who work hard to pack a bag and travel well without breaking the bank. Kim? Find out how to partner. Send a message if you would like more information services, please do not send messages regarding linking.